Looks really nice. Hope it works out for you and Val. I love it! That's totally my style. 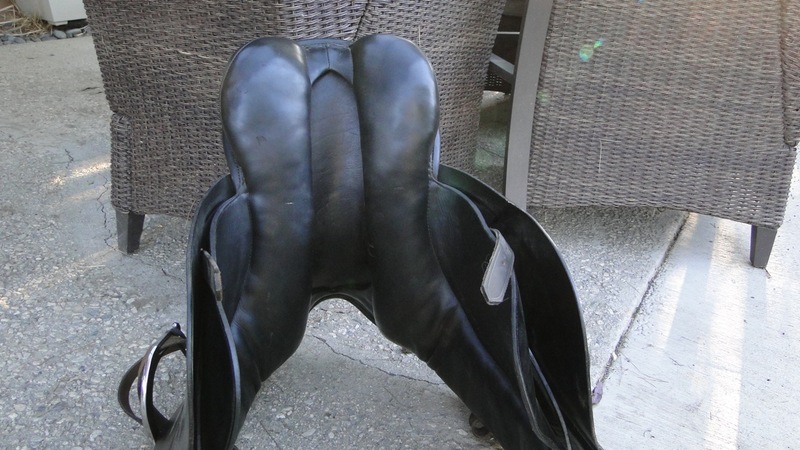 So many dressage saddle are so extreme these days. My sister likes a saddle with a super deep seat and enormous knee rolls/thigh blocks. She complained my saddle was too flat and my saddle is more built up than yours lol. LUCKY!! And I'm also jealous since I may have to start saddle shopping myself. I would almost (ALMOST but not quite) rather quit riding than saddle shop. My first years of dressage lessons were in a Neidersuss Symphonie and an old County Competitor. Both flat with negligible blocks. I was planning on settling for a deeper seat if I had to, but the big blocks drive me crazy. I know, right! 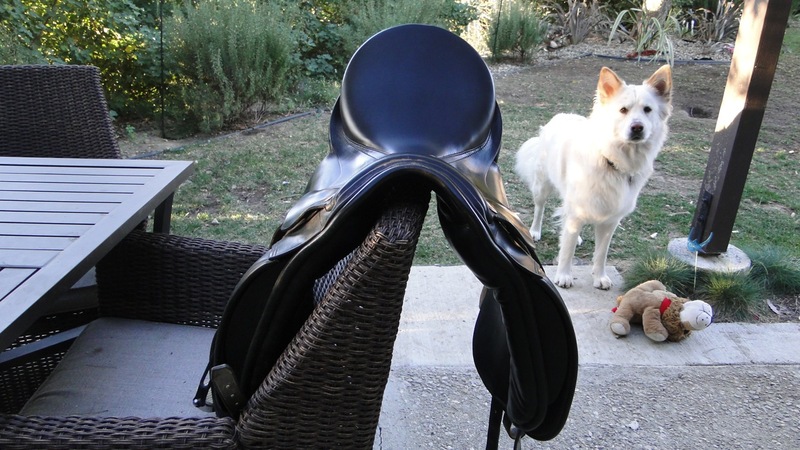 Jochen Schleese mentions to look for saddles whose channels don't get smaller under the cantle. Yay! That said - I have learned so much about saddle fit and brands of dressage saddles. If you know what you're looking for, and have time, ebay is not a bad way to go. I found tackreview.com very helpful. This is so weird - someone in S. Pines had one of these they were selling and I almost emailed you to see if you were interested. Their price was so low I wondered if they would want to ship or go through any kind of fitting thing. Hope it all works out. One of our saddle fitters recommended this saddle for Salina when I was still riding her. She is wide but has a slight dip and something about these panels was supposed to fit that build well. I've ridden in my Neidersuss for more years than a JR/YR is old! I found mine on ebay. I chose it for those exact reasons you mentioned - fitting a wider curvy back. Plus - I loved riding in my trainers model. 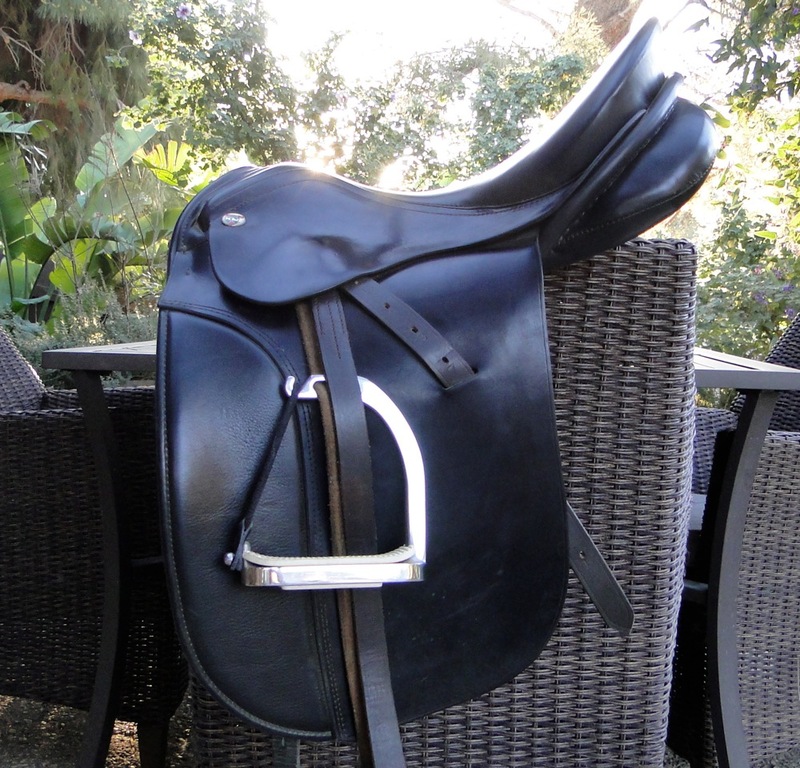 My current saddle has straight panels, and they were the source of the fit issues, in my highly uneducated opinion. I hope this will be that last saddle search Val and I have to endure! The one I saw was 17.5 seat and MW tree - had a few water spots on the leather so she was selling for $500. Otherwise in beautiful condition. I was tempted and I don't even have a horse who fits it! Super spiffy! I'm telling you, every time I see you posting pictures of English saddles, I get a little crazy and want one for myself. Oh - I hope we feel good in it! Very nice! Hope it's perfect. Congratulations! Nice looking saddle. One of my all-time favorites, for horse and rider. Wow, very cool you found what hopefully will be perfect -for both of you! !